What a talent! 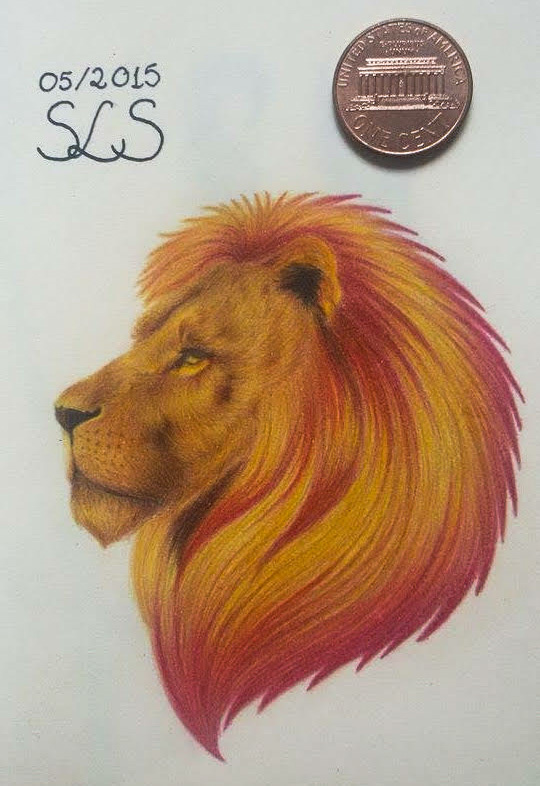 The textures on this lion beckon me to touch him... What an honor it is to have such an artist contribute to our sew along. 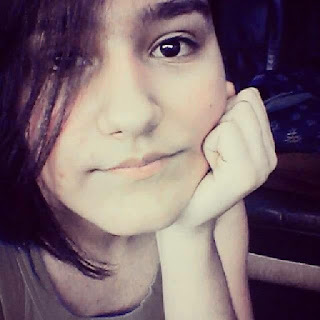 Thanks, Soraia! 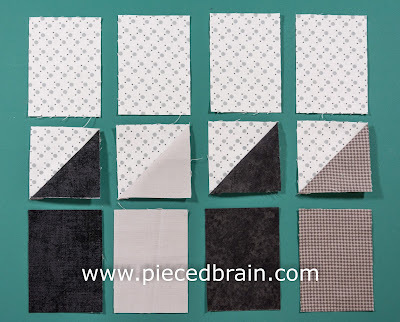 The choice of fabric for the sky (which Soraia noticed on previous blocks and suggested I repeat on this block) is important as it brings to mind smoke or 'particles' in the air. 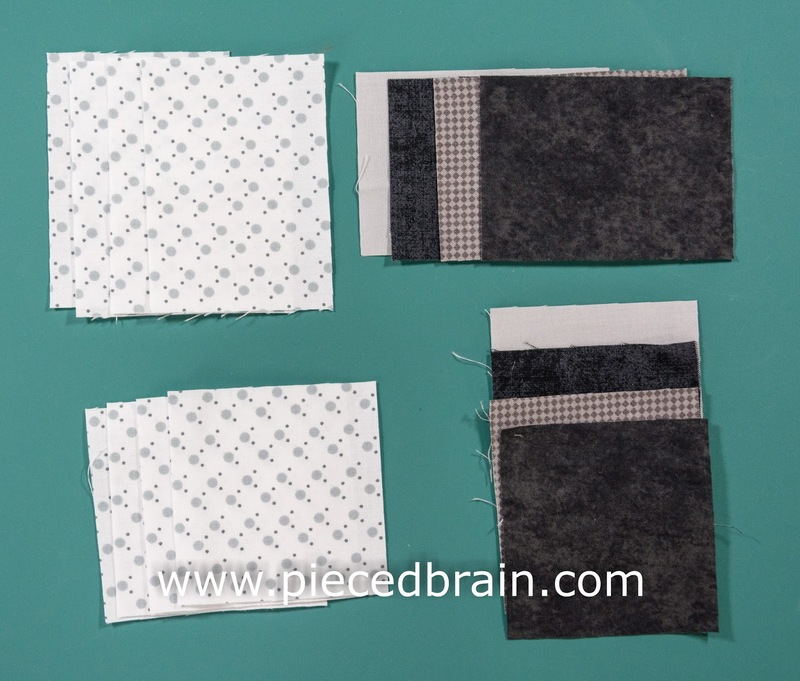 All fabrics used are by Riley Blake Designs. 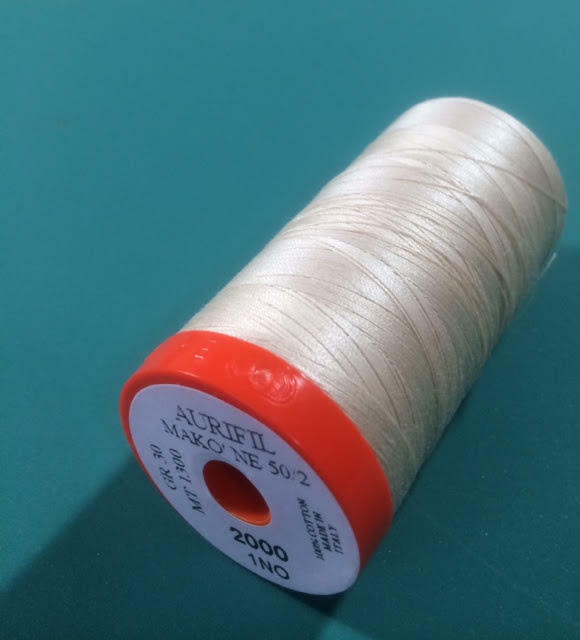 You've asked me which neutral thread I use the most, and this is it. This shade of Aurifil 50 wt is perfect for every fabric combination. 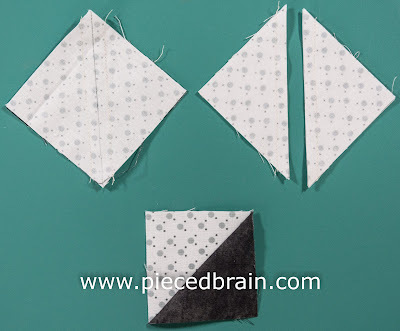 It works very well for paper piecing, too, and it is the one I used on the blocks in the paper piecing video tutorial I posted this week. Bring all your fabric pieces next to your sewing machine. Although you cannot discern well on this picture, the darker fabrics are a bit different from each other. Begin by assembling the half-square triangles. Take a sky square and one of the smoke stack squares, RST, draw a line on the diagonal on the lighter fabric. Repeat with remaining 3 sky squares and 3 smoke stack ones. Yes, you will end up with four extra half-square triangles which you can save them for another block. 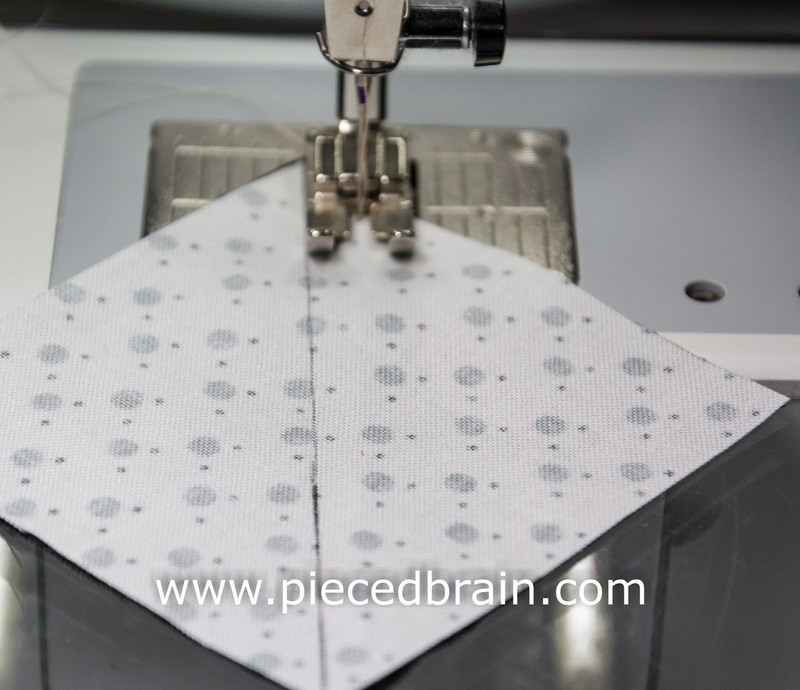 Stitch 1/4" away from the diagonal line on both sides, then use your rotary cutter to cut each block on the line. Clip ears and press each block with seams towards the darker fabric.There are other ways to make half-square triangles, yet this is a quick one for this block. Next, match 3-1/2" x 2-1/2" rectangles with their half-square triangles. This is what you should have up to now. 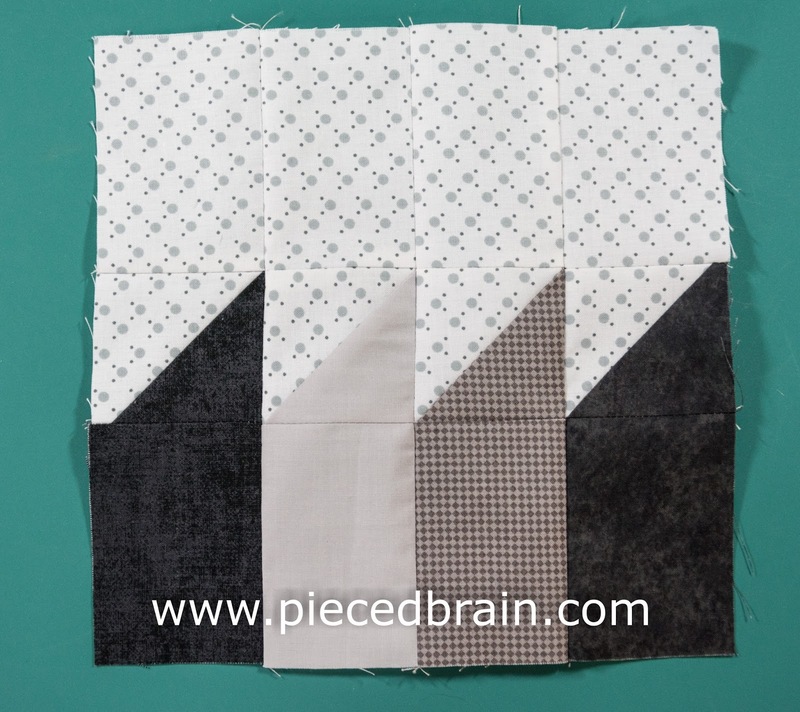 Stitch each column, then sew columns together to form the block. And here it is. 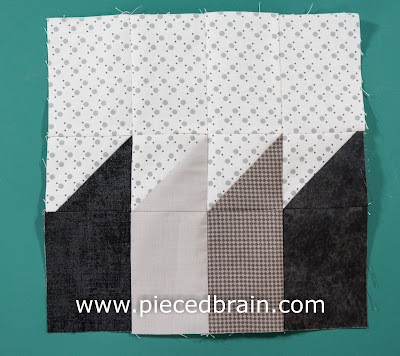 I had missed piecing a block for the City Girl Sew Along as the previous blocks have all used machine applique. Stop by next Thursday to see block #30! I wud luv to see what a Quilt top looks like with this Block! Do you have a pic of one?? As soon as we finish the blocks for the City Girl Sew Along I will put the quilt together, including this block, and post it on this blog. I can't wait to show off my 'city'!!! Thank you for stopping by!